The last day in February marks the annual International Rare Disease Day, first celebrated in 2008 by European coordinators the European Organization for Rare Diseases (EURORDIS). For the past five years, the United States has participated in this effort thanks to the hard work of the National Organization for Rare Disorders (NORD) and other committed alliances and patient advocacy groups. What will determine the speed and scope of medical progress in the years to come? There is more to it than the essential ingredients of money and brainpower. Sound tax policy is essential if we are to propel medical progress. Yesterday, Rep. Dave Camp (R-MI-04), chairman of the House Ways and Means Committee, introduced a comprehensive tax reform bill. While the prospects for passage during this election year are — to put a positive spin on it — uncertain, Congressman Camp laid down the gauntlet for much-needed tax and entitlement reform, and he also proposed making the R&D tax credit permanent. Uncertainty surrounding future access to the R&D tax credit has reduced its power to drive private sector R&D investment. While the Camp bill does not contain the ideal package of changes needed to optimize the usefulness of the credit, and in fact contains some potential setbacks, his decision to support making the R&D tax credit permanent sets the stage for finally achieving this long-standing goal. Scientists, physicians and patients must all work to increase clinical trial participation. 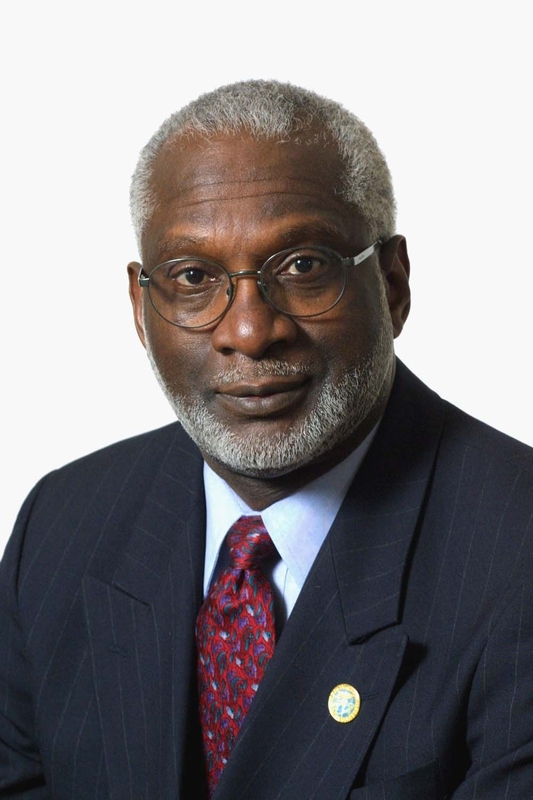 In a recent Washington Post op-ed, a personal hero of mine, former Surgeon General and CDC Director David Satcher, MD, discusses the importance of African-Americans contributing to medical progress by participating in clinical research. Using Alzheimer’s disease as a lens, he argues that adequate research funding is not the only imperative; individuals must be willing to volunteer for clinical trials. Participation is especially valuable for racial and ethnic groups who have much to gain as health disparities persist, but who understandably remember mistreatment in trials in the past. Polling commissioned by Research!America has affirmed this lack of trust but also, importantly, has revealed that African-Americans in particular say they want to help others by participating in trials. We also learned from our polls that most Americans, across all demographics, look to their physicians to be the touchpoint for learning about clinical trial participation. Improved scientist engagement with the public and policy makers is essential. Medical research stands a better chance of becoming a higher national priority if people can connect meaningfully to scientists. As Alan Alda said at the annual AAAS meeting last week, and in an interview with Claudia Dreifus in The New York Times, “How are scientists going to get money from policy makers if our leaders and legislators can’t understand what they do?” He and his colleagues at the Alan Alda Center for Communicating Science at Stony Brook use of the some of the same approaches we do to help the science community connect with non-scientists in ways that can truly move mountains. Alda adds a passion for science with dramatic talent for a skill set we can all learn from. Media attention — old school and new school — is key. Both traditional and social media play a role in the fate of U.S. medical progress because of their ability to call public and policy maker attention to possibilities and stumbling blocks. Research!America and the Pancreatic Cancer Action Network hosted a media luncheon today to discuss the challenges involved in turning cancer, in all its insidious forms, into a manageable chronic condition. It was reinforced to us that journalists’ questions are good markers of questions the public in general are raising; it’s important for scientists and advocates to listen and respond. Sometimes we fall into the pattern of just repeating our own messages louder and louder, but we should instead step back and listen to the sometimes-challenging questions being raised by media as they seek to inform the public. All of us who care about the future of research for health should seek out opportunities to engage with journalists. Contact us for suggestions on how to get started! ALEXANDRIA, Va. – February 27, 2014 – A panel of leading health, economics and policy experts today discussed the prospects for a future where cancers are rendered manageable or even eradicated and the variables affecting progress toward that goal so that cancer patients are able to lead normal, productive lives – and thus be “free from” their cancers. The forum was hosted by Research!America and the Pancreatic Cancer Action Network. The event, titled, “A World Free from Cancers: Probable, Possible, or Preposterous?” was held at the New York Academy of Sciences. Medical innovation has contributed to the economic success of the U.S. over the last 50 years and it offers enormous potential to make a meaningful difference in the quality and length of our lives in the next 50 years. Of all the critical trends that will create a prosperous future, the panelists believe that medical innovation will be the most important. In order to achieve a culture of change where science and medicine will be part of the solution, all stakeholders must stand up and advocate for pro-patient and pro-innovation policies and laws. By supporting a positive regulatory and legislative environment and working toward innovative solutions for complex health care challenges, policy makers can help combat devastating diseases like cancers. The panel addressed the role of medical innovation, not only in the fight against cancer, but as a major force in our nation’s economic progress. Among the technological advances of the 21st century, medical innovation has been the biggest factor in improving the lives of patients, benefiting the health care system and improving prosperity. Over the past 50 years, medical innovation has been the source of more than half of all economic growth in the United States. The panel discussed the benefits of past breakthroughs for some types of cancer: there have been an estimated 50 million life-years saved and $4.9 trillion added in economic value due to innovative cancer treatments since 1990. However, further success in reducing the devastating impacts of cancers and accelerating medical innovation is dependent on developing effective collaborative solutions from an “ecosystem of innovation” – bringing together scientists, patients, health care providers, private-sector medical innovators, academia, payers and policy makers – to find solutions that will save lives from all types of cancers. The Pancreatic Cancer Action Network is the national organization creating hope in a comprehensive way through research, patient support, community outreach and advocacy for a cure. The organization is leading the way to change the survival for people diagnosed with this devastating disease through a bold initiative — The Vision of Progress: Double Survival for Pancreatic Cancer Survival by 2020. Together, we can know, fight and end pancreatic cancer by intensifying our efforts to heighten awareness, raise funds for comprehensive private research, and advocate for dedicated federal research to advance early diagnostics, better treatments and increase chances of survival. To learn more, visit www.pancan.org. People everywhere are captivated by the world-class athletes competing at the Winter Olympics. The personal commitment, dedication and motivation on display is certainly an essential ingredient for medalling, but it is not sufficient: Each nation fielding a team must commit to supporting sustained excellence. And both the public and private sectors play a role. There are some interesting parallels to science and innovation — we don’t see it in the public eye every day but when it comes to the fore, it’s the kind of success that affirms the human spirit in a compelling way. When lives are saved with a new therapy or new vaccine, we all take heart and we celebrate, perhaps not realizing that it took years of training, teamwork and ‘practice’ to arrive first at the finish line. What it takes to remain internationally competitive in any global arena — very much including science and innovation — is the combination of well-trained and dedicated people at the top of their form, plus a firm national commitment over a many-year period. In journalistic coverage that we don’t see often enough, a special report in Monday’s Washington Post describes how government-funded basic research has led to new cancer therapies and a potential “cancer vaccine” currently undergoing testing in the private sector. This is a perfect example of the well-honed teamwork that is our public-private sector research enterprise. But without public sector financing, private sector capital and a commitment to STEM education, the pipeline will not only dry up, its infrastructure will crumble. As Congress readies itself to receive and respond to the president’s budget in early March, email your representatives in Washington to let them know that when it comes to medical research and innovation, the U.S. must continue to go for the gold. That means recommitting to global leadership. With long-standing champions of science retiring, spurring that commitment will undoubtedly be a steeper climb. Congressman Rush Holt, a physicist whose legacy in Congress as a champion for science, research and STEM education is truly superlative, announced his retirement on Tuesday. His is the latest retirement in a string that reminds us how pivotally important one Member of Congress can be in advancing the best interests of our nation, and it underscores the importance of cultivation of new champions. I hope to hear your voice on the air! Excerpt of an op-ed by American Heart Association CEO Nancy Brown published in the Huffington Post. Every day, all across the country, the work continues in the fight against heart disease, in ways big and small. The medical community is on the front lines, of course, treating sick patients, helping others recover and — equally importantly — educating and encouraging others how to avoid the dangerous tentacles of the No. 1 killer of Americans. Researchers are hard at work seeking answers. They are conceiving and refining tests that can help with diagnosis, and the medicines and equipment that can help with treatment and prevention. Americans from other fields contribute, too, sometimes in the literal sense. Donations help fund research, and volunteers give their time to help with awareness and education campaigns. There’s still one more big piece of this puzzle. Our nation’s lawmakers. From city councils to statehouses, Congress to the Oval Office, our elected leaders set and maintain public health policies that govern the way we live. Their efforts in beating heart disease are evidenced in the strides made fighting tobacco use the last 50 years. This month, the federally-designated American Heart Month, their support has been quite evident again. Join NORD in Supporting Rare Disease Day! Guest blog post by the National Organization for Rare Disorders. February 28 is Rare Disease Day – a time to show support for the 30 million Americans, and millions more around the world, living with rare diseases. Only a few hundred of the nearly 7,000 rare diseases have approved therapies. Many are not being studied at all by medical researchers. Often, patients – or parents of patients – feel that nothing will be done unless they raise the money, recruit the researchers and fuel the search for their own lifesaving treatment. They find themselves in a race against time, since rare diseases tend to be serious and many are life-threatening. Excerpt of an op-ed by the Albert and Mary Lasker Foundation President Claire Pomeroy, MD, published in the Huffington Post. As an HIV physician, I began my career early in the AIDS epidemic before effective antiviral medications existed. I held my patients’ hands as they cried when receiving their diagnosis and I went to their funerals. I saw hope in their eyes when new antivirals became available. And when protease inhibitors were licensed and “triple therapy” became the norm, I could help patients plan how they would live, rather than how they would die. Scientific breakthroughs happened only because of our nation’s commitment to biomedical research, but this power of research to make lives better is at great risk. The decline of U.S. prominence in global biomedical research is upon us: The National Institutes of Health budget has been flat for 10 years and lost 25 percent of its purchasing power, sequestration cut $1.7 billion from the 2013 NIH budget and the 2014 budget is $714 million less than the level approved for 2013, the federal government shutdown prevented enrollment of patients into clinical studies and delayed clinical research protocols, and next generation researchers are taking ideas and talents to other countries. The U.S. sits on the sidelines as nations such as China and India increase research investment by nearly 20 percent while the U.S. drops by 5 percent. The government’s failure to ensure significant ongoing support for biomedical research undermines the future of science and health in our nation and threatens a strategic driver of the economy. The call to action is clear: The research community must increase advocacy, develop novel research partnerships, and create new opportunities for young researchers. Guest blog post by the American Chemical Society. How has the Super Bowl’s economy-driving market impact grown thanks to scientific research? Can a value be placed on innovation? What is the economic impact of science and technology research? What is the return on investment of research and development? These questions were addressed at the January 30, 2014, American Chemical Society Science & the Congress briefing, Measuring Economic Growth: R&D Investments, held on Capitol Hill. Moderated by the National Academies’ Stephen Merrill, PhD, panelist Steve Landefeld, PhD, of the Bureau of Economic Analysis spoke on how R&D numbers are now included in gross domestic product reports. Carol Corrado, PhD, of The Conference Board and Georgetown University explained how this captures “intangible” portions of the economy. Researchers and scientists discover knowledge. Inventors and engineers apply understanding into tangible products like medicines, cars and computer software. Artists use technology from pens and paints to instruments and computers to produce works of entertainment. R&D thus seeds economic impact. 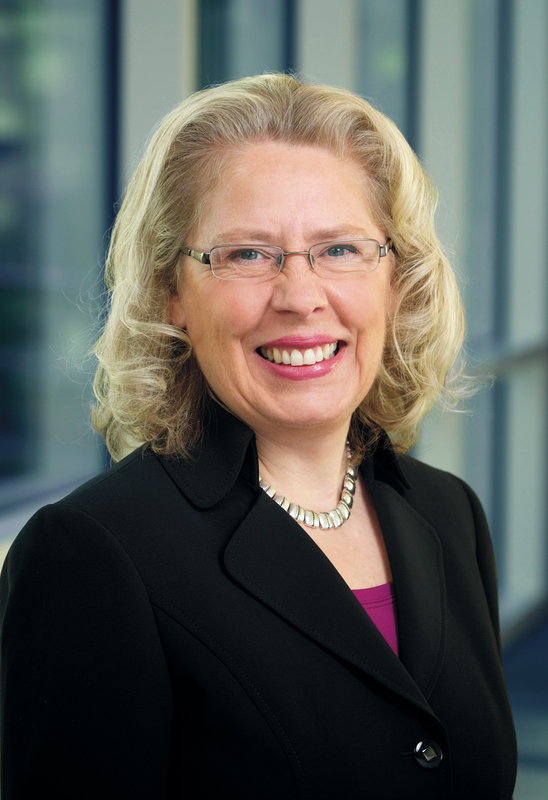 To illustrate R&D’s economic impact, IBM Chief Economist Martin Fleming, PhD, remarked that the Super Bowl attracts more viewers thanks to computer science: The 1st down line appears as “paint” on the field and not moving players. This TV “magic” results from scientific research of light and information. Camera sensors turn images into data, the Internet exchanges big data packages, then computer graphics paint on the TV screen in real time [with credit to Hollywood for development]. That the Super Bowl’s marketing power translates into significant consumer spending is hard to deny. ACS Science & the Congress Project holds briefings in Washington, DC, to educate and inform Members of Congress, their staffs and policy professionals on issues of science and technology. Previous installments are available at https://vimeo.com/channels/acssciconhill and https://vimeo.com/channels/sciencesocietychallenges. For more information on these events open to the public, contact science_congress@acs.org. Since President Obama declared 2014 as a “year of action” in his State of the Union address, several people have asked my view on how the president might advance science by executive order. Some options that come to mind: the president can (1) pump up the budget for NIH and other science agencies in his FY15 budget blueprint, scheduled for release in early March; (2) require an assessment of the impact on innovation, access and economic growth before making any administration-initiated cuts to drug, biologic or device reimbursement; and (3) designate a task force to formulate a national science strategy. Today is World Cancer Day. Cancer is the second leading cause of death in the U.S., accounting for nearly one of every four deaths. Today, the American Cancer Society, the American Association for Cancer Research and many others organizations are joining forces to raise awareness and dispel misconceptions about cancer, while encouraging policy makers to make cancer research a national priority. Call and email your representatives. Make some noise. Join the conversation on social media using hashtags #cancerresearch, #WorldCancerDay, #cancer and #curesnotcuts. Take a look at the list of World Cancer Day events for more ways to get involved. Did you know? Over the past 40 years, mortality rates for childhood cancer have been reduced significantly, dropping 66% during this time period due to early detection techniques and treatment. Learn more, here. Federal funding for cancer research is in steady decline. Now is the time to tell your representatives that funding for cancer research is not a luxury but a MUST for improving Americans’ health. We need cures not cuts!